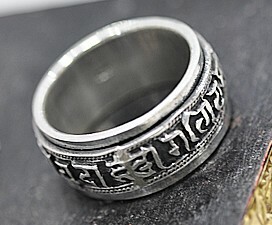 Tibetan Handmade Ring Tibetan OMÂ Mani Padam HumÂ Spinning Ring! 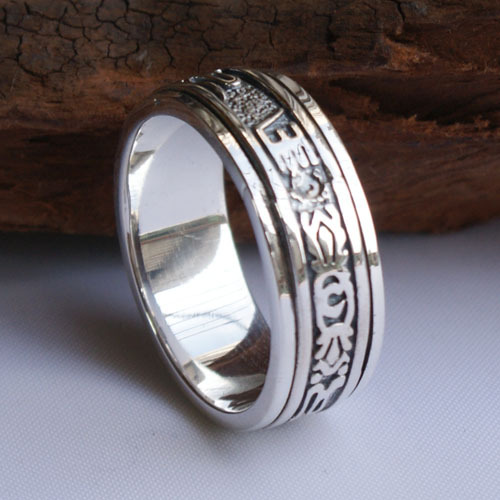 This tibetan om spinning ring was handmade by the Tibetan craftsman in Tibet from sterling silver. The tibetan people believe spinning ring can change bad luck to be good luck and keep lucky and healthy always.